Liberia is one of the poorest countries in Africa with a population of 4 million, per-capita income of US$410, and about 60 percent of the population below the poverty line. More than half of the population is urban, including in densely populated areas around the capital city of Monrovia. About three-quarters of the labor force is engaged in informal activities, mainly agriculture, itinerant mining, and commerce. Despite its post-conflict fragility and poor social conditions, Liberia had been growing steadily prior to the Ebola outbreak under a regime of stable economic management, efforts to improve public sector governance, and expansion of extractive industries. Real GDP grew at 8.7 percent in 2013 and was projected to decline to 5.9 percent in 2014 as mining production decelerated. The WHO warned that the number of new cases was increasing exponentially in Liberia and that thousands of new patients can be expected there over the last three weeks of September 2014. The Ebola virus outbreak is crippling business and expected to cut economic growth in Liberia and Sierra Leone, William Murray, Deputy Spokesman at the International Monetary Fund (IMF), told reporters 11 September 2014. "How bad is the situation? Well, it"s evolving rapidly but, based on the latest information available, growth could decline by at least 3 to 3.5 percent in Liberia and Sierra Leone and by about 1.5 percent in Kenia," the IMF representative said. Since the escalation of the Ebola outbreak in July 2014, there has been a sharp disruption of economic activities across sectors. The largest economic effects of the crisis are not the direct costs (mortality, morbidity, caregiving, and the associated losses to working days), but rather those resulting from changes in behavior – driven by fear – which resulted in generally lower demands for goods and services and consequently lower domestic income and employment. Despite signs by September 2014 that the initial fear-based behavioral response had abated among Liberians, as evidenced by increased activities in local markets (about 80 percent of small and medium enterprises remained open), the initial estimate of a 3.5 percentage point reduction in GDP growth for 2014 (from 5.9 percent to 2.5 percent) remains optimistic. Table 1 shows revised estimates of GDP growth with the contribution of each sector. A deepening of the crisis over the remaining quarter of the year could diminish overall GDP growth still further. Inflation picked up reflecting the depreciation of the Liberian dollar in the context of a widening current account deficit, but should moderate in 2014 as international food and fuel prices decline. Risks to the outlook stem from delays in priority public investment and declines in rubber and iron ore prices. Key challenges and risks. Significant revenue shortfalls and recently-uncovered spending commitments outside the budget process underscore remaining capacity constraints and institutional weaknesses that ought to be resolutely addressed to preserve the credibility of the budget and the authorities’ ability to deliver on their development agenda. Liberia’s achievements since the end of the conflict are impressive, although significant challenges remain. Notably, over the past decade, peace had been maintained and institutions re-built, iron-ore exports have resumed, and the rehabilitation of key infrastructure is under way. Although admittedly starting from a low base, Liberia shows the largest improvement in its CPIA rating among fragile sub-Saharan African countries. Nonetheless, Liberia remained a fragile country with significant capacity constraints and governance challenges. Pushing ahead with ongoing reforms is imperative to consolidate past gains and improve resilience. The mining sector accounted for about 17 percent of GDP and 56 percent of the US$559 million worth of total exports in 2013. Production and exports were dominated by two large iron ore mining companies, ArcelorMittal and China Union. Production at the largest mining company (ArcelorMittal) held steady with production of approximately 3.3 million tons up to August 2014 — on track to achieve planned production of 5.2 million tons by the end of 2014. However, investments to expand capacity to 15 million tons per year had been put on hold. The second major mining company, China Union, which had projected production of approximately 2.4 million tons for 2014, closed its operation in August 2014. Furthermore, restrictions on the movement of people severely curtailed artisanal mining including of gold and diamonds. Overall, the mining sector is expected to show a small contraction of 1.3 percent in 2013 compared with an initial projection for growth above 4 percent. The agricultural sector accounted for about one-quarter of Liberia’s GDP, but nearly half of the total employed workforce and three-quarters of the rural workforce was engaged in the sector. Both export and domestic agriculture had been severely affected by the Ebola crisis. The production and shipments of rubber – the single most important agricultural export for Liberia – had been disrupted by both the reduced mobility of the workforce and the difficulty in getting the products to the ports due to the quarantine zones. Rubber exports which were initially expected to be about US$148 million in 2014 were estimated to drop 20 percent. In domestic agriculture, the main food growing areas – in Lofa County in the North West part of the country – were also the areas most affected by the outbreak of Ebola and were quarantined. Farms had been abandoned. Even in the cases where farming operations were on-going, the shortage of labor as a result of the quarantine as well as the migration of a number of families from the areas at the onset of the outbreak affected both harvesting and replanting of several crops, including rice, Liberia’s key staple. The services sector, which comprised approximately half of the Liberian economy and employed nearly 45 percent of the labor force, had been hardest hit by the Ebola crisis. Wholesale and retail traders reported a 50-75 percent drop in turnover relative to the normal amount for the trading period. The reduction has been largest in markets serving expatriates. Liberia is a rather strange place. It should not be a poor country, but it certainly is. For a few years in the 1970s, Liberia's per capita income was equivalent to that of Japan. Liberia is now ranked by the World Bank as among the very poorest countries in the entire world. Liberia needs peace and stability, not only to protect human rights and make for a better life for citizens, but also to allow economic progress to take place. A decline in world prices for Liberia's chief exports, iron ore and natural rubber, brought financial hardship to the country during the 1960s and early 1970s. Liberia would have to maintain an average annual economic growth of about 9 percent for 18 years to make the grade to join West African neighbors Nigeria, Ghana, Cape Verde, Côte d’Ivoire and Senegal in the moderately elite club of lower middle-income nations, which also include countries like India, Ukraine, Albania, Indonesia, Philippines, Egypt, Morocco, Bolivia, and Pakistan. Liberia is a very poor country with a market-based economy that is only beginning to recover from the ravages of civil war. According to the Liberian government, the unemployment rate is 70 percent (although in a largely subsistence economy, this figure may be more a reflection of urban unemployment). In addition, the absence of infrastructure throughout the country continues to depress productive capacity, despite Liberia's rich natural resources and potential self-sufficiency in food. The country's literacy rate is an estimated 25 percent. Liberia was traditionally noted for its academic institutions, iron-mining, and rubber. 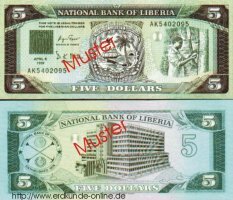 Political upheavals beginning in the 1980s and a 14-year civil war (1989-2003) largely destroyed Liberia's economy and brought a steep decline in living standards. The Liberian economy relied heavily on the mining of iron ore and on the export of natural rubber prior to the civil war. Liberia was a major exporter of iron ore on the world market. In the 1970s and 1980s, iron mining accounted for more than half of Liberia's export earnings. Following the coup d'etat of 1980, the country's economic growth rate slowed because of a decline in the demand for iron ore on the world market and political upheavals in Liberia. During the 1989-2003 civil war most major businesses were destroyed or heavily damaged, and most foreign investors and businesses left the country. Iron ore production stopped completely, and the United Nations banned timber and diamond exports from Liberia. UN sanctions on Liberian timber were removed in 2006. Diamond sanctions were ended by the UN Security Council in April 2007, and Liberian diamond exports resumed through the Kimberley Process Certification Scheme. Liberia’s economy had been growing modestly, despite the global economic downturn, and the International Monetary Fund (IMF) projects strong GDP growth through 2012. The inflation rate in 2011 averaged 10%. The country's revenues come primarily from rubber exports and revenues from its maritime registry program. Liberia’s U.S.-owned and operated shipping and corporate registry (LISCR) is the world’s second-largest (more than 3,500 ships whose total exceeds 113 million gross tons, which is over 10% of the world’s oceangoing fleet); its Liberian-flagged vessels carry more than one-third of U.S.-imported oil. There is increasing interest in the possibility of commercially exploitable offshore crude oil deposits along Liberia's Atlantic Coast. In 2010, President Johnson Sirleaf signed a 3-year deal with Chevron to explore for oil offshore. Exploitation of gold deposits should contribute to government revenues and provide employment. Liberia's need to rebuild following a fifteen-year conflict combined with its abundant natural resources make it a country with great potential for investment. However, as long as little is done about the governmental corruption that reaches to the highest level of government, it is unlikely that significant numbers of serious investors will be induced to come here. The economy has shown signs of growth, but very little progress has been made in addressing the criteria laid out by the International Monetary Fund (IMF) for creating an improved economic environment that would attract foreign investment. Moreover, international sanctions, including a travel ban on senior Liberian government officials and an embargo on the trade in Liberian diamonds, have been imposed because of the government's support to rebels in neighboring Sierra Leone. Instability in the northern county of Lofa, where government troops have sporadically clashed with armed dissidents, has also impacted the economy. Most productive facilities in Liberia were devastated during the civil conflict, so there is potential for growth in almost every sector. The Constitution prohibits forced or bonded labor, including by children; however, this prohibition was ignored widely in many parts of the country. In some rural areas, farmers were pressured into providing free labor on "community projects" that often benefited only local leaders. There were allegations that large logging companies in the southeast forcibly recruited workers. There also were reports that local officials forced convicts to work for them. There were reports during the year that local government officials forced persons to work without compensation on President Taylor's farm. During 2002, AFL soldiers forced the manager of an agricultural project to do menial labor for 3 weeks. There were reports that commanders of security forces forced persons to dig for diamonds and gold in the west and southeast part of the country. Some former combatants, including some in the security forces, were accused of forcing children to work in the mining industry. Human rights groups reported instances of forced child labor in some rural areas, particularly in artesanal diamond mining. A child rights advocacy group's report on child labor in the southeastern counties and that of another prominent human rights group contradicted a government report, which concluded that there was no conclusive evidence of forced child labor. Subsequently legislators from three counties sued the child rights advocacy group for defaming the counties' reputations. The eastern part of the country contains the most unspoiled region of the Upper Guinea Forest, a high priority conservation area due to the large number of endemic mammal species. This area has potential for growth in sustainable logging of tropical hardwoods, but on-going heavy exploitation of large concessions and forestry mismanagement in recent years have raised the concern of environmentalists. Gola or Ekop [Tetraberlinia Tubmaniana] is known presently only from Liberia. Ekop is a general utility wood that is used for veneer, plywood, and furniture components. The names "African pine" and "Liberian pine" have been applied to this species, but because it is a hardwood and not a pine, these names are most inappropriate and very misleading. The name gola was proposed by the College of Forestry at Monrovia, Liberia. The heartwood is light reddish-brown and is distinct from the lighter colored sapwood, which may be up to 2 inches thick. The wood is moderately coarse textured. Luster is medium. Grain is interlocked, showing a narrow stripe pattern on quartered surfaces. The wood weighs about 39 pounds per cubic foot. Tests made at the Forest Products Laboratory indicate no potential difficulties in the machining of gola. It also peels and slices very well. Gola is a very recent newcomer to the timber market and its potential has yet to be developed. Its workability and relatively light color should permit utilization in both the solid and veneer form for both utility and decorative purposes. The seacoast of Liberia has many beautiful tropical beaches, a favorable climate in the dry season (September-May), and sport fishing. However, growth in this sector is a long-term prospect because of the lack of adequate infrastructure, and current problems with regional and internal stability. Manufacturing accounted for just under 5 percent of GDP, but the availability of agricultural crops, mineral resources, and low cost labor presents opportunities for growth in this sector. Liberia concluded its Governance and Economic Management Assistance Program (GEMAP) in September 2009. The country cleared its arrears to the World Bank, International Monetary Fund, and African Development Bank (approximately $1.6 billion). It reached Heavily Indebted Poor Countries (HIPC) completion point in June 2010, and it cleared nearly $1.4 billion in arrears to Paris Club creditors in September 2010. The government's 3-year poverty reduction strategy was scheduled to end in June 2011. 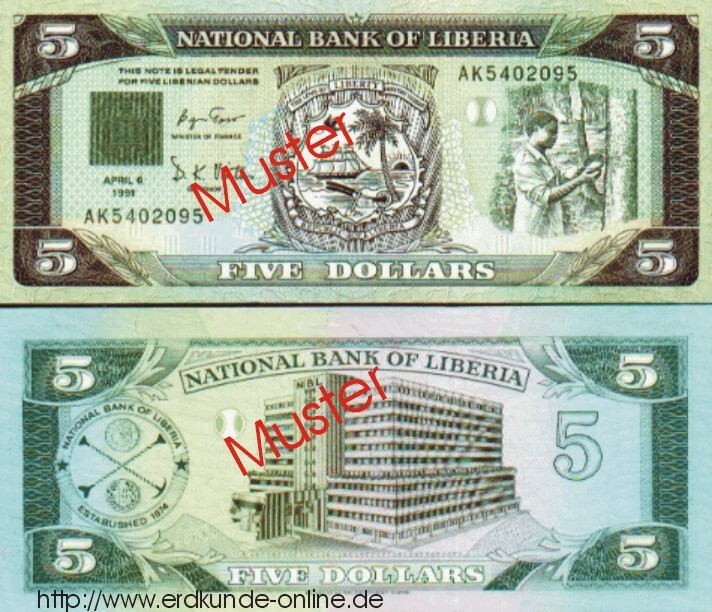 The same month, the IMF approved a continuation of Liberia's Extended Credit Facility (ECF) through March 2012. Reform of the budget process continues. The government publishes detailed copies of the final budget and quarterly fiscal outturns. The final 2010-2011 fiscal year budget of $369 million (ending June 30, 2011) was 6.3% higher than the initial budget submitted to the legislature, although 0.5% lower than the final budget the previous year. In FY 2010-2011, the Liberian Government committed to allocating 60% of its budget to poverty reduction strategy goals, and its expenditures for health and education increased by 10%. Low-income taxpayers received a tax break in 2010, with their effective tax rate dropping from 25% to 20%. U.S. Treasury advisors are working with the Ministry of Finance to improve tax administration, strengthen internal controls, and increase revenue collection. Liberia is open to foreign investment. The government announced 39 reforms to the business climate in 2008 and 2009, and the country attracted over $100 million in new investment in the first half of 2009. The Liberia Extractive Industries Transparency Initiative (LEITI) continues to operate successfully, and Liberia was only the second country to obtain EITI compliance. In 2010, the government enacted several pieces of legislation to modernize commercial transactions and expand commercial activities. In fall 2010, Liberia became the first West African country to enact a Freedom of Information Act. The government is trying to privatize the Freeport of Monrovia, which will lower import costs for consumables and capital equipment. In early September 2010, Delta Airlines inaugurated direct flights between Atlanta and Monrovia. Despite rich natural resources and potential for self-sufficiency in food production, Liberia’s economy remains less competitive because of the high cost of operating in country. Productive capacity and sustained economic growth are depressed by high unemployment, low literacy, poor health, corruption, and the absence of basic infrastructure such as adequate roads and water, sewage, and electrical services. Limitations on local human resources and the need for private security services also drive up the costs of doing business. Only about 15% of the workforce is employed in the formal sector. The adult literacy rate is estimated at less than 60%, and 68% of Liberians live below the poverty line. Although Liberia’s HIV/AIDS rate is under 2% and the government is conducting prevention campaigns, an estimated 35% of Liberians are malnourished, only 28% are fully immunized, just 25% have access to safe drinking water, and only 36% have access to proper sanitation. The costs of rebuilding damaged infrastructure are enormous. The economy is heavily dependent on the infusion of funds made available by international donors, the presence of the UNMIL peacekeeping force, and international non-governmental organizations (NGOs). Foreign assistance ($425 million) still exceeds the national budget. Despite having enacted laws on intellectual and industrial property and copyright, the government has failed to enforce these laws. There is widespread sale of pirated CDs, counterfeit drugs, and knock-off electronic products. Persistent corruption and a culture of patronage inhibit open and transparent concession and procurement processes. The Public Procurement and Concessions Commission and the Liberia Anti-Corruption Commission (LACC) have yet to develop the capacity and political will to offset fully these influences. Efforts to reform the procurement process at government ministries and agencies have slowed government expenditure and continue to falter due to lack of institutional capacity.